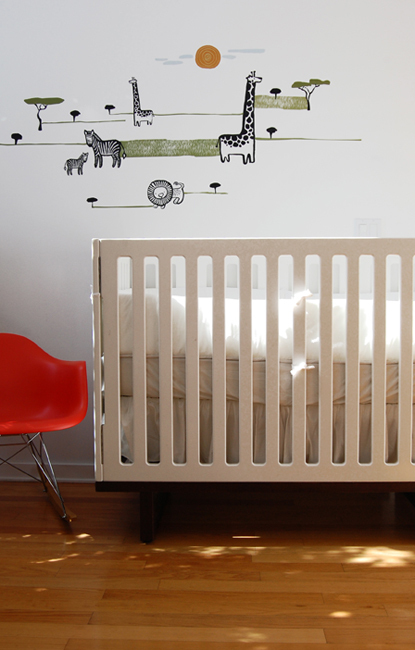 Bring a Safari feel to your kid's walls without leaving home! 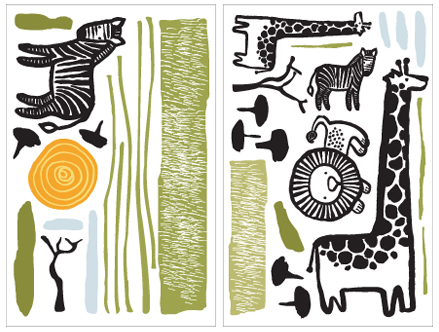 This pack contains a lion, 2 giraffes, 2 zebras, twigs, bushes, trees and the sun! A total of 27 wall stickers to compose and re-compose your wall mural as you wish. Looking for an artistic alternative to traditional kids rooms decorations? The Wee Gallery line was specially designed to stimulate the minds and imaginations of growing children. 26.95 Stock: SOLD OUT - Limited Edition.